Our range of products include mix bed plant. Mix Bed Plant is one of our most demanded DM plants. 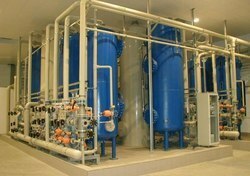 It is used as ion exchange equipment in various industries. Known for its high performance, we can customize the equipment as per our clients’ specifications.